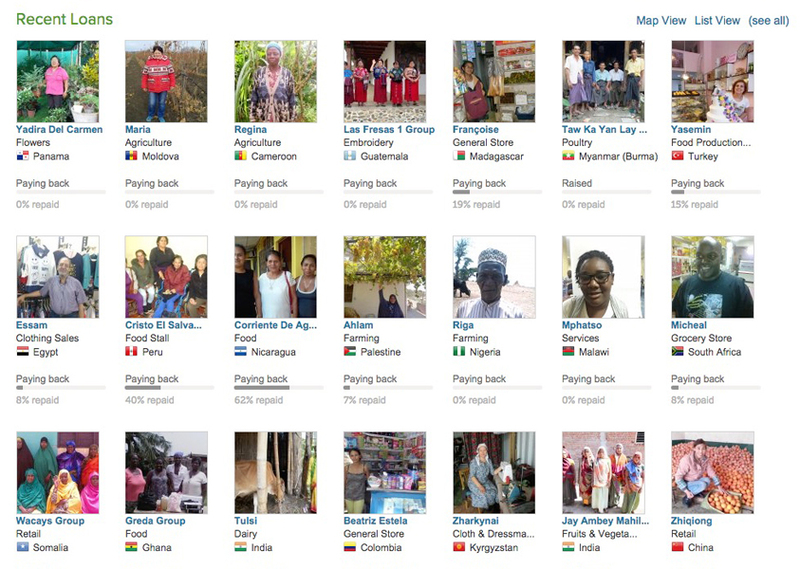 I really like working with KIVA to support entrepreneurs around the world through micro loans. 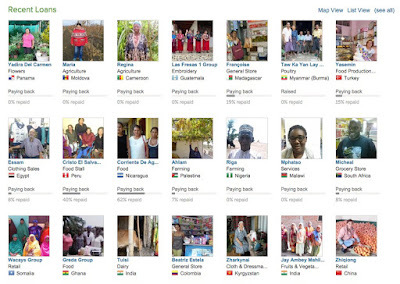 Kiva.org is a non-profit organization with a mission to connect people through lending to alleviate poverty. As of Thanksgiving 2015 I've made 108 loans to entrepreneurs in 69 different countries. 73% female. 27% male. I've supported 7 of KIVA's 7 markers for social performance. The business model is called a revolving loan. You make the loan on your terms and when you get paid back you get to loan it out again. The interest you make is paid in gratification for being able to help your global peers build a better world. As Nobel laureate Muhammad Yunus said: "A charity dollar has only one life; a social business dollar can be invested over and over again."